Chapecoense made it through to the Copa Sudamericana final with a 1-1 aggregate win over San Lorenzo. In 2014, San Lorenzo of Argentina won the Copa Libertadores, South America's Champions League, beginning a run of continental finals without the participation of a Brazilian team. Through 2014 and 15, neither the Libertadores in the first half of the year, nor the Copa Sudamericana (a Europa League equivalent) in the second had a team from Brazil in the final. 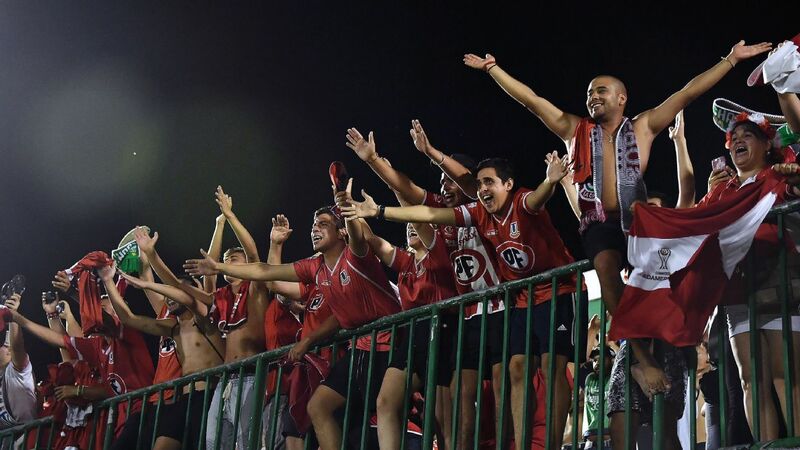 That barren run now comes to an end with the elimination of San Lorenzo in the semifinal of the Copa Sudamericana by Chapecoense, an unglamorous but growing club in the south of Brazil. It was not, in truth, the most emphatic of triumphs. Chapecoense were hanging on at the end of a goalless draw in front of their own fans, good enough to take them through to the final on the away goals rule after a 1-1 draw in Buenos Aires three weeks ago. Nevertheless, theirs is an impressive achievement. The last time a Brazilian club played in a continental final -- Ponte Preta in the decider of the 2013 Sudamericana -- Chapecoense had yet to make their debut in Brazil's first division (with the exception of a few crazy years in the 1970s when more than 90 clubs were included in the top flight). As recently as 2009 they were down in the fourth division. And now they are through to a continental final -- an achievement which many bigger, more traditional clubs are unable to match. After snatching a draw in the first leg, Chapecoense were well aware that the away goals rule was working in their favour. San Lorenzo had to score. The Argentines were the more experienced team -- not only in the tradition of their club, but also in the career record of their players. Three players in their lineup have English Premier League experience; Fabricio Coloccini, a Newcastle United stalwart, and the pair of Marco Angeleri and Sebastian Blanco, briefly of Sunderland and West brom respectively. Emanuel Mas is Argentina's current first choice right-back. Nestor Ortigoza is a key midfielder for Paraguay. Matias Corujo gets a regular game for Uruguay. Could these players rise to the occasion? With little of this pedigree, would Chapecoense freeze on the big night? The early indications were that San Lorenzo might dominate, with Ortigoza probing from midfield. But there was only one clear chance, a cross shot by Mas that was blocked by Danilo in the home goal. As Chapecoense settled, their attacking pace began to trouble the ageing Argentine defence. They were the more dangerous side in the run up to half-time. San Lorenzo could not breach the Brazilian defence despite numerous attempts. San Lorenzo needed to force things. On came centre-forward Nicolas Blandi at the interval. He forced a save with a shot from range. An Ortigoza free kick was flicked onto the base of the far post. San Lorenzo tried to turn the screw, and as space opened up at the other end, Chapecoense's elegant captain Cleber Santana began to bring rapid substitute Lucas Gomes into the game. But if a goal was going to come, it was looking more likely to come from the Argentines. Keeper Danilo ensured it did not. When Ezequiel Cerruti slipped a dangerous pass through to Martin Cauteruccio, the keeper was quick off his line to block the shot on the turn. And right at the end, deep into the third minute of stoppage time, came the most important moment. A San Lorenzo free kick fell for Angeleri to stab at goal from close range. Danilo produced the reflex block which must have surely been the most heart stopping piece of action in the history of the Arena Conda, Chapecoense's stadium which will not be allowed to host the club's home game in the final. CONMEBOL regulations insist on a 40,000 capacity for such a showpiece occasion. Chapecoense's home can fit in just under half that figure, and so they are looking for another venue, which unfortunately will be some distance away from their home town, in which to host either Atletico Nacional of Colombia or Paraguay's Cerro Porteno. This will be a source of frustration for many of the residents of Chapeco, in the southern state of Santa Catarina. For now, though, the club's supporters are surely giving thanks for having made it through to the final -- and maybe checking on the phone number of the cardiologist as well.